We love St. Patrick’s Day crafts for kids and this leprechaun hat template is so cute and easy to make! 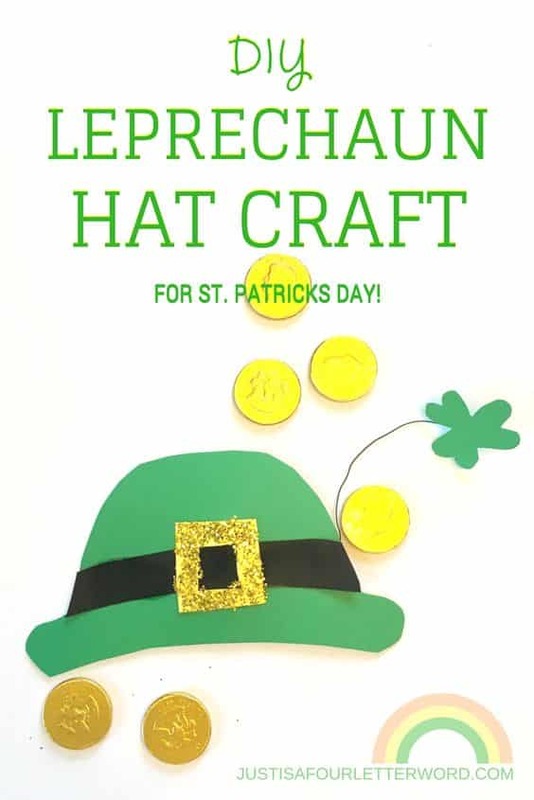 Check out how we made our hats and grab some more leprechaun craft ideas for the luckiest holiday of the year. Are you ready to trade the red and pink hearts for St. Patrick’s day crafts for kids and fun activities? I have lots of craft ideas to share that would be great for home or classroom fun. This Leprechaun hat template is one of my favorite St. Patrick’s Day crafts for kids and one of our most popular posts. I can’t wait to share it with you. Pair it with these yummy leprechaun hat St. Patrick’s Day treats and you’ve got yourself a party! As the days get a little bit warmer and the sun starts to peek through these rainy days, I can feel my mood getting better and better. And I think it’s happening with my boys too. We’ve had some really good days over here in the past couple of weeks! St. Patrick’s Day is right around the corner and since Oscar came home with all of his February artwork I can tell his school is already moving on from the Valentines and hearts and candy. And so are we! We have tons of leprechaun trap ideas but why not BE the leprechaun? Now we’re talking. Last week I decided to try a little craft with BOTH kids, which is really a post in itself. It was a little crazy, but we ended up with two adorable little leprechauns so I am calling it a win! We made little leprechaun hats and they love them! I have a feeling we’ll be searching for that pot of gold all month. Maybe I’ll even buy a box of Lucky Charms. Who knows! 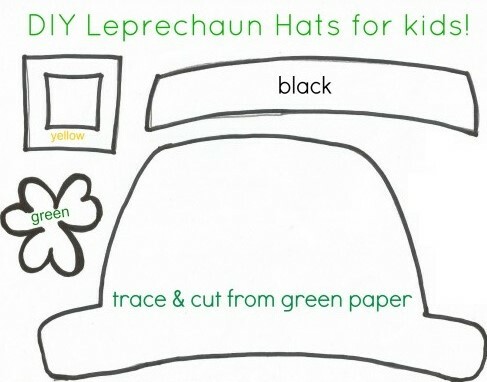 DIY Leprechaun Hat Template for kids! I created the leprechaun hat template below to make your own hats if you like. The instructions are on the 2nd page of the pdf and it’s super easy to make! 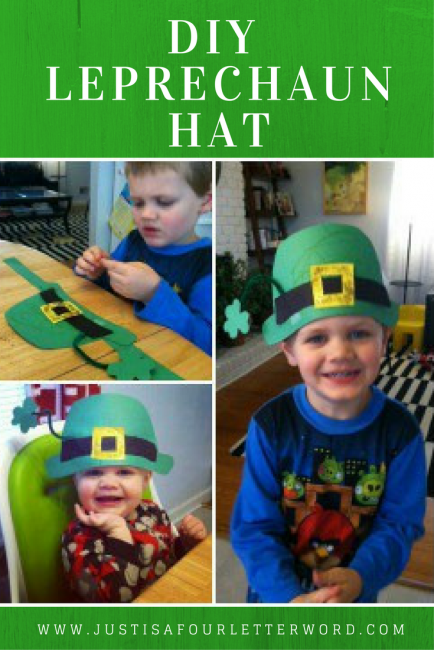 This hat would also make a great class craft so if you are a teacher looking to make St. Patrick’s Day crafts with your class, I think this would be great for any Preschool age and even Kindergarten. If you want even more St. Patrick’s day crafts to make with kids, I have a few other ideas up my sleeve. When I think about St. Patrick’s Day, I think green, leprechauns, rainbows and of course, a pot of gold! 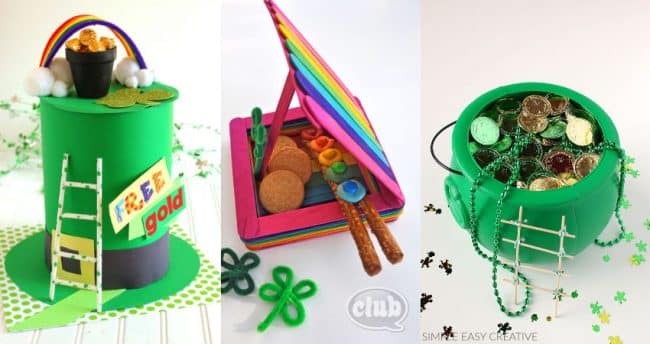 If you want to try your hand at catching a leprechaun, be sure to check out these cute DIY leprechaun trap ideas. 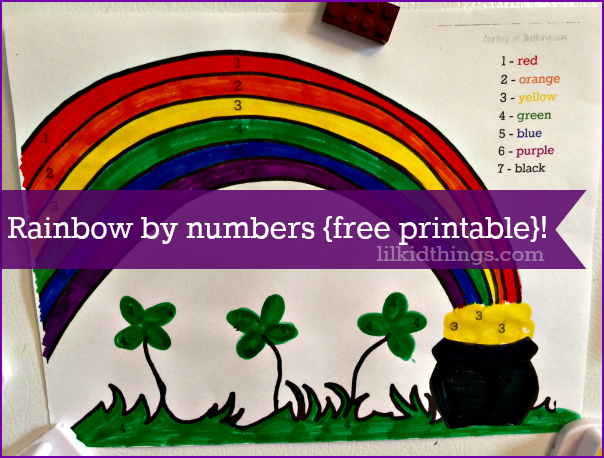 I made this rainbow-by-numbers activity sheet. years ago and it’s such a simple way to get creative with the littles. Print out the sheet and use it to color by number, paint or glue tissue paper to make your rainbow. You could even use thumprints for the four leaf clovers! 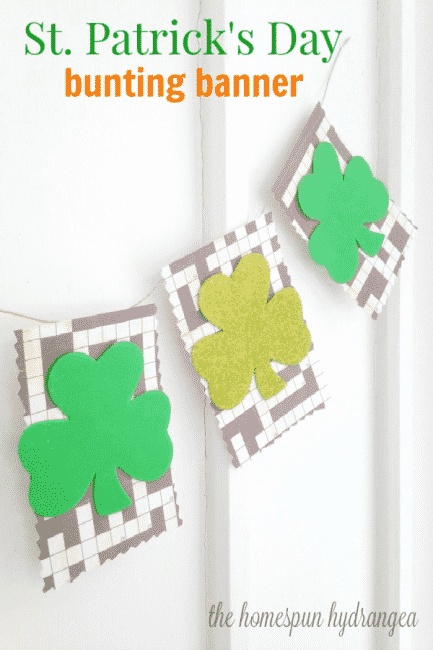 I checked in with a few of my friends to see what St. Patrick’s day craft ideas they have and I’m loving their suggestions. Check out these St. Patrick’s day ideas for crafts or even St. Patty’s day snacks and get inspired! 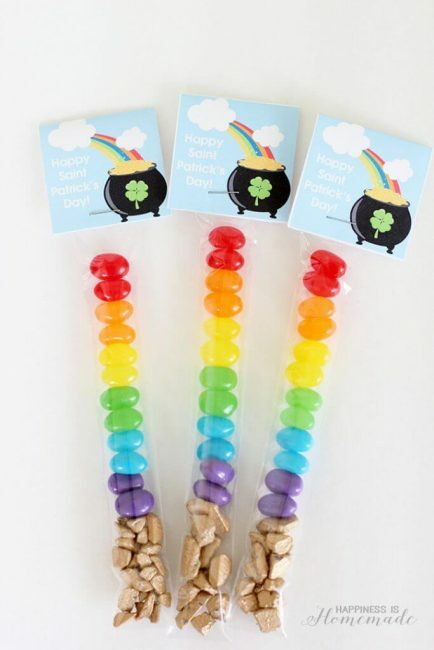 These rainbow St. Patrick’s Day candy treat bags are so cute and you can print the tags for free at Happiness is Homemade. Candied popcorn is always a favorite and we’re loving this treat from Skip to My Lou. 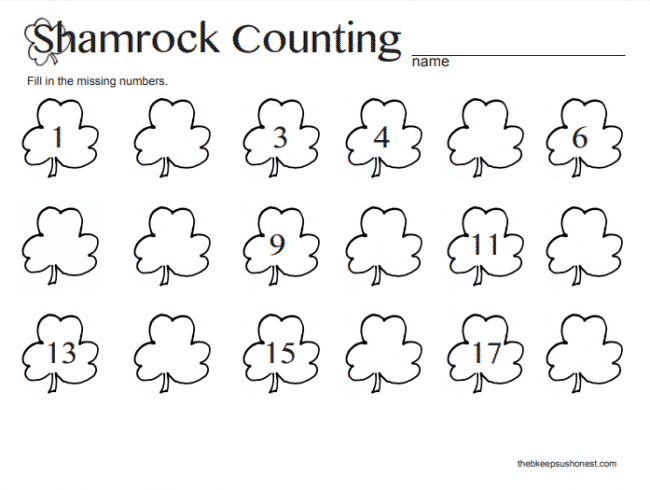 The B Keeps Us Honest has these fun shamrock worksheets you and your child can do together. They are a great way to sneak in a little learning time and would be great for homeschoolers. Y’all know I love my holiday garlands and this St. Patrick’s Day garland is super quick and easy to put together. Not to mention, budget friendly! 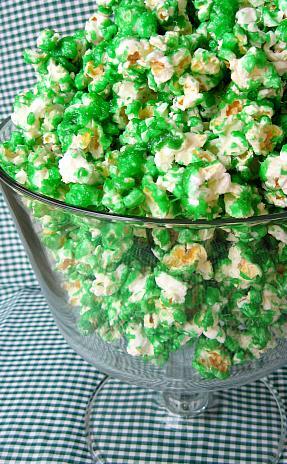 I also have some super tasty St. Patrick’s Day ideas if you’re feeling a little hungry after all that crafting. 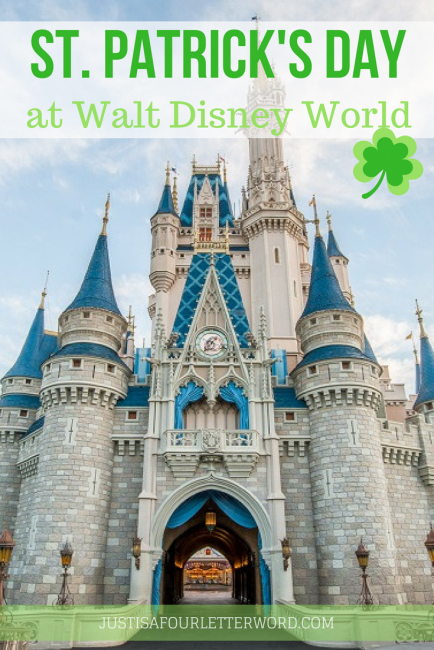 Or maybe you’re traveling and want to spend St. Patrick’s Day at Disney World. I have tips for you too! If you make a leprechaun hat, I would love to see the finished product! You can link up a blog post here in the comments, link up below, or post it to our Facebook page. You and your hat wearin’ boys. So cute! Oh my goodness, your boys are so cute in these little hats, love it! Love it! I will be making these hats this week.THANK YOU FOR SHARING! So cute! I would love it if you would share your posts at my Monday of Many Blessings Link Up!! Leftover white cardstock is glued between two layers of green construction paper because our cardstock and adhesive foam supplies haven’t been restocked yet. A leftover glitter adhesive clover sticker was placed on the paper clover. The band of the hat crafts may be hole punched for brad fasteners to create an adjustable hat if the supervised child does not tend to place non-food items in their mouth. Our hat crafts look so cute on medium and large plush toys when not worn by children. I’m so happy to hear this! I love your ideas too!